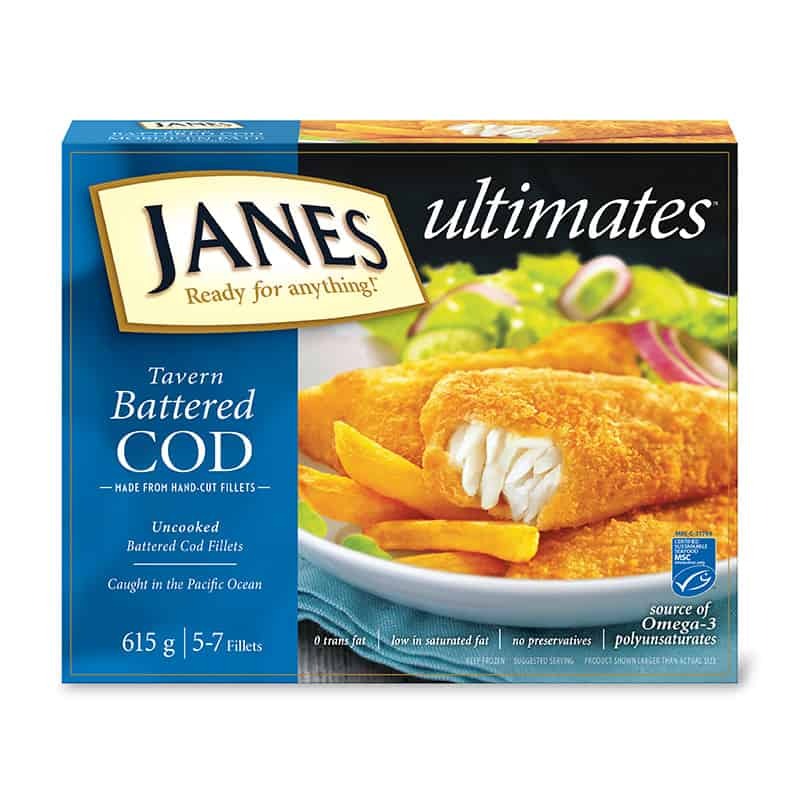 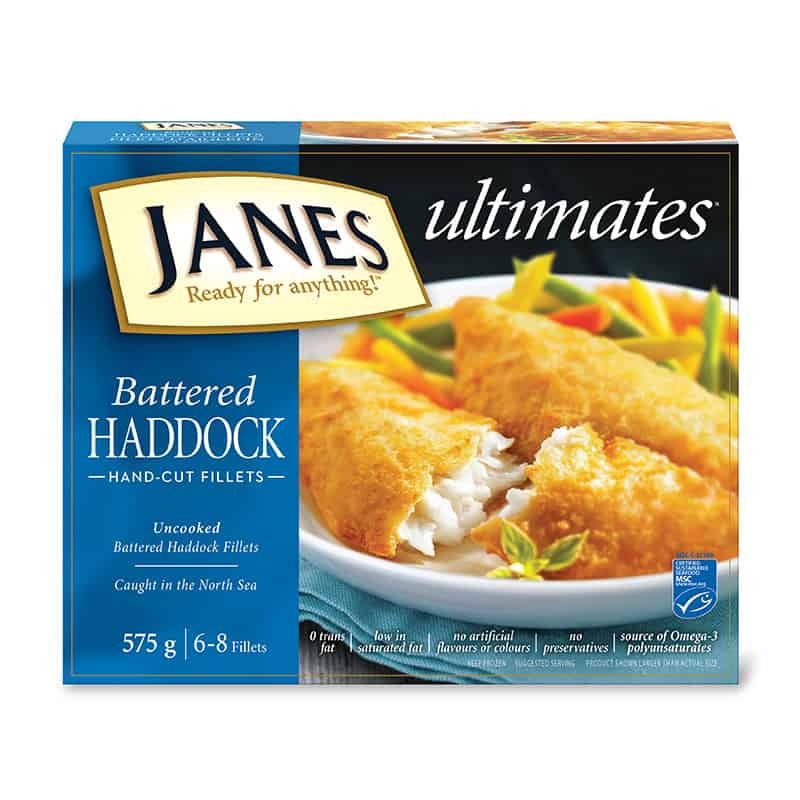 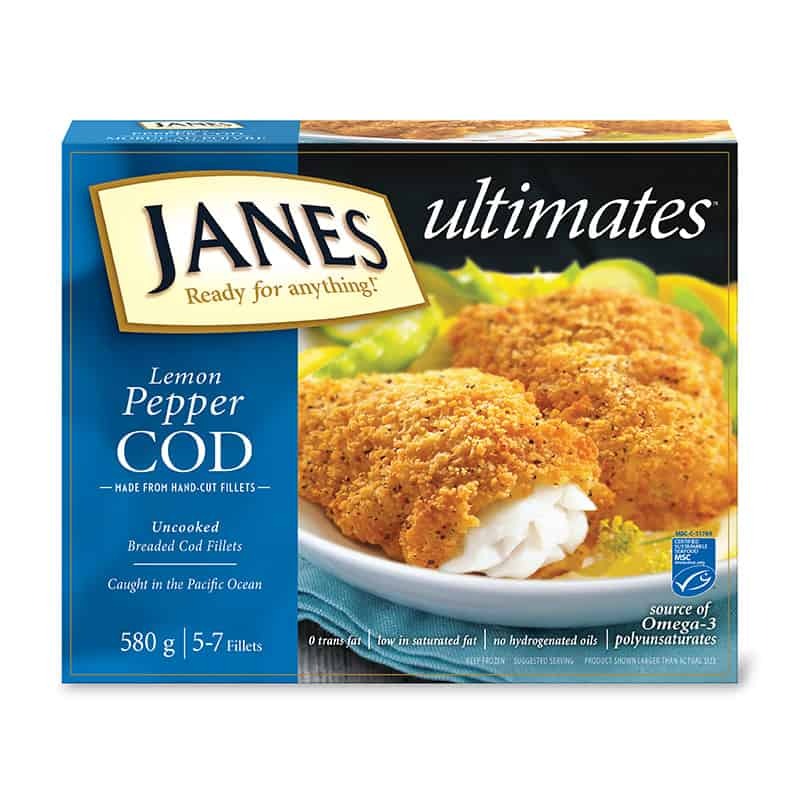 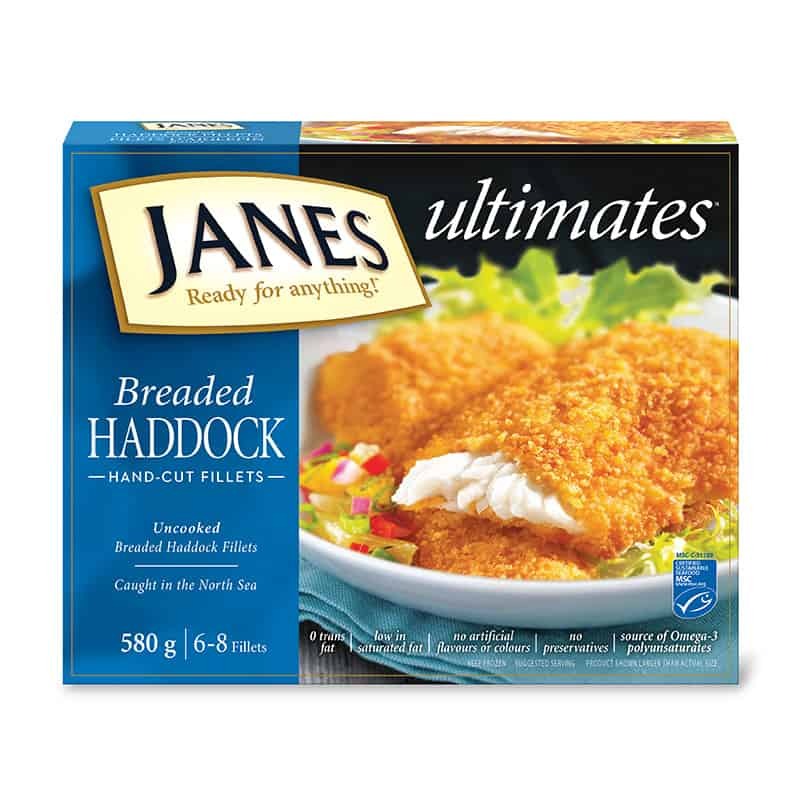 ultimates Multigrain Breaded Haddock Fillets - Janes® Ready for Anything! 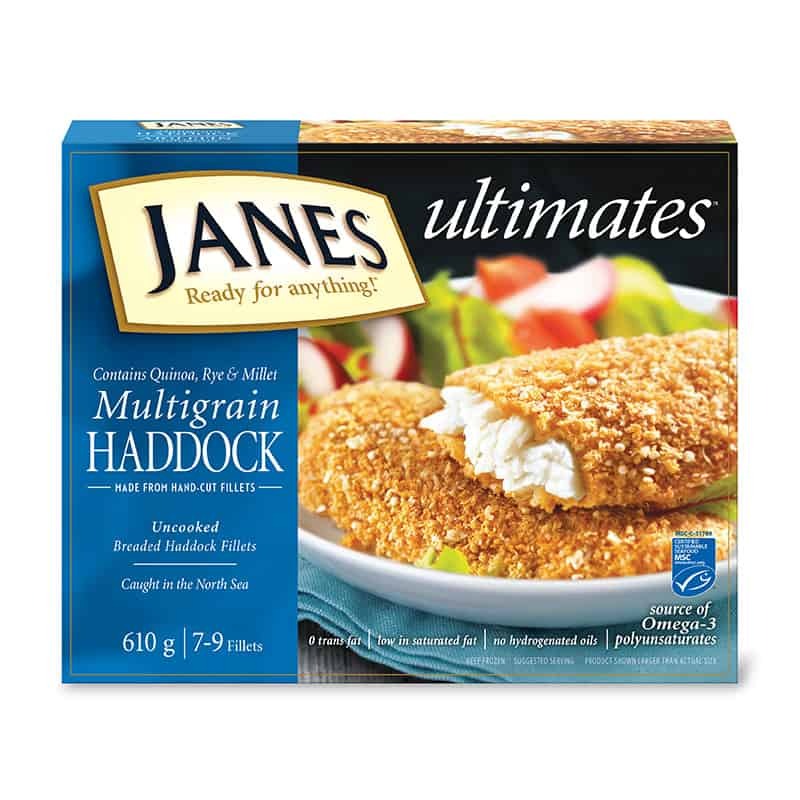 Wrapped in a delicious multigrain breading that includes ancient grains, quinoa and millet, these wild-caught whole haddock fillets are certified sustainable and a source of DHA Omega-3. 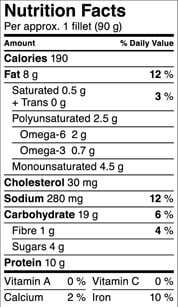 Haddock Fillets, Toasted Wheat Crumbs, Water, Corn Starch, Wheat Flour, Rye Flakes, Quinoa, Corn Flour, Rolled Oats, Hulled Millet, Salt, Flavour, Onion Powder, Garlic Powder, Sugar, Baking Powder, Sugar Beet Fibre, Spices. 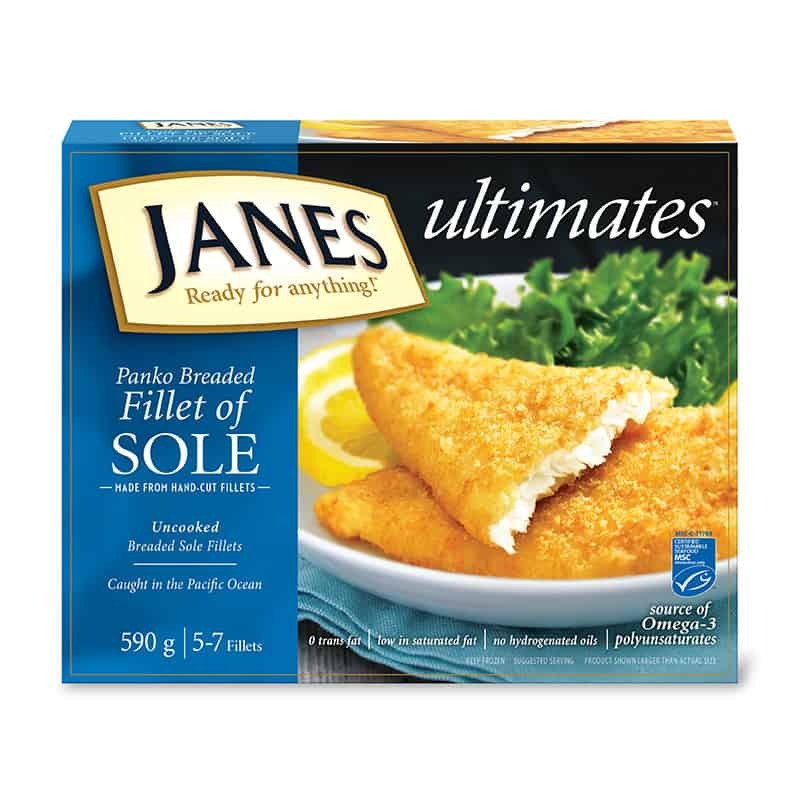 Browned in Canola Oil.